Circus and symphony: a wonderful pairing. The highly virtuosic skill and expressive capacity of the circus artist resonates with the finely-honed abilities of the professional musician. 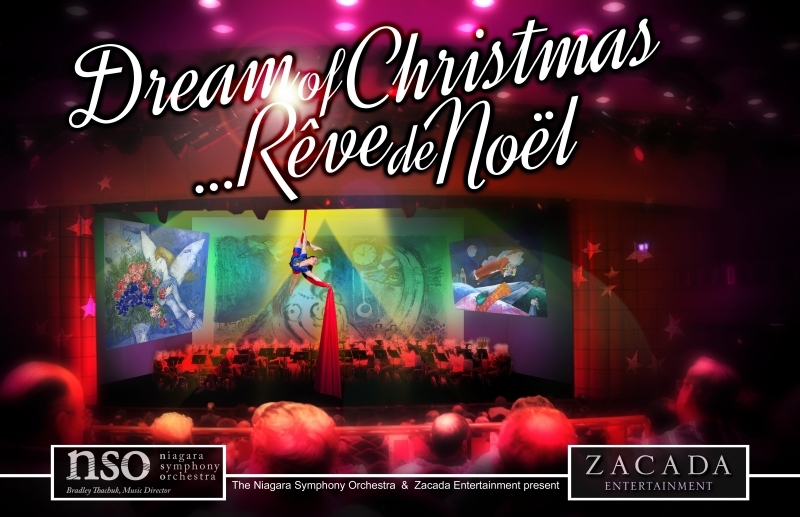 This holiday season the Niagara Symphony and Zacada Circus join forces to elate audiences with an unprecedented experience of artistry, seasonal favourites, and true pizazz. Spectators will be entranced by a wide-range of traditional circus arts, including silks, trapeze, contortion, balancing acts, and juggling, plus some less-than-traditional acts as well. Surrounded by the members of the NSO on the Partridge Hall stage, the Zacada artists will perform feats of physical and expressive skill in an evening long conversation with Tchaikovsky, Prokofiev, seasonal carols, Ravel, and much more. Storytelling, live sand art, projections, solo vocalists and choirs will round out this unforgettable high-flying adventure.